Stainless Steel Aluminium Composite Panels is a kind of new high grade construction , take 304&316 stainless steel as its face plate, high-pressure low density polythere (LDPE) as core materials and aluminium as rear plate. This panel combines stainless steel plate characheristics(metallic feeling, self-healing, long life, good flexible) with the advantage of high strength, smooth, it's the best choicer for the cladding at building. (1) Flatness: excellent flatness derived from the continuous laminating process. (2) Rigidity: As one of the attributes of composite panels, rigid and lightweight. 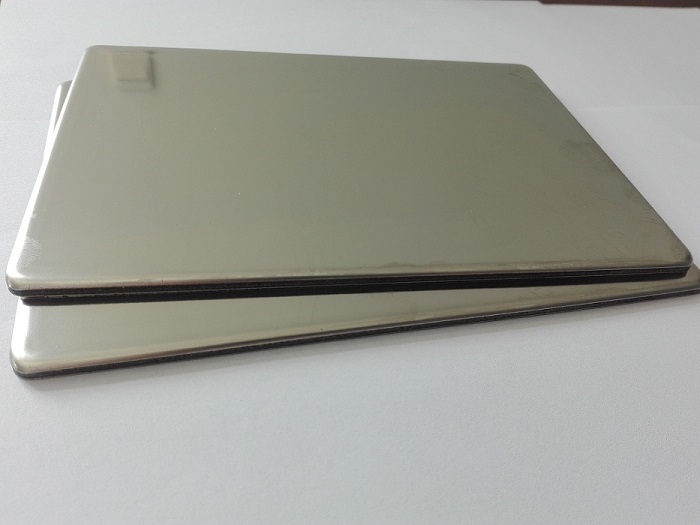 Looking for ideal Stainless Steel Aluminium Composite Panel Manufacturer & supplier ? We have a wide selection at great prices to help you get creative. All the Stainless Steel Composite Panels are quality guaranteed. We are China Origin Factory of Stainless Steel Aluminium Composite Sheet. If you have any question, please feel free to contact us.